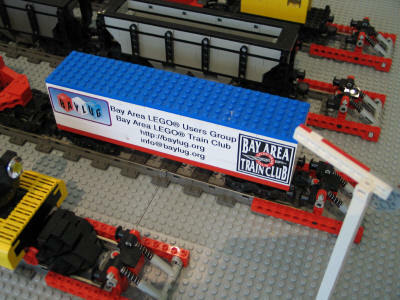 The Bay Area Lego User's Group layout will be at the Museum until July 11. Several trains run at a time, on a 20 minutes on, 10 minutes off schedule. 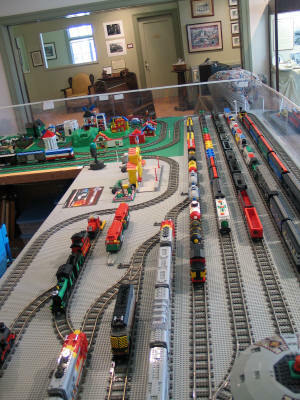 When I was there three trains were running, including "Thomas" and the Hogwarts Express. 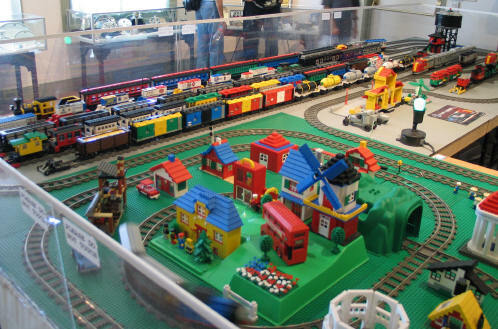 Trains, buildings and other structures are made of legos. 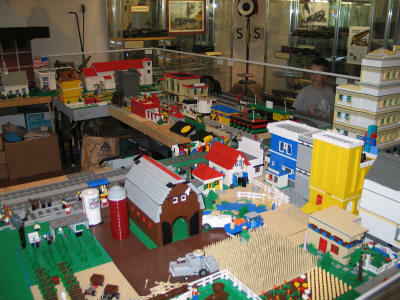 The layout theme is "Railroad in the Central Valley", and will feature locally-based scenes ranging from the 1850s to the 1950s.